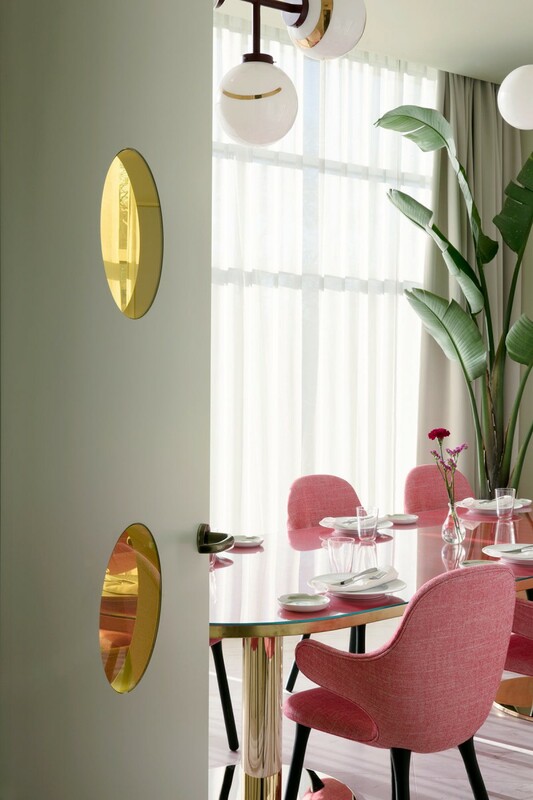 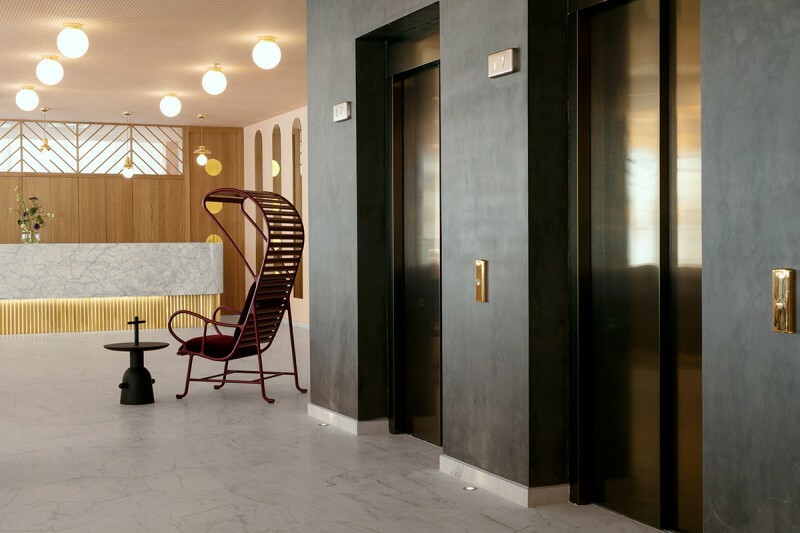 Jaime Hayon has accomplished many things in his career, creating products, art and interiors that have firmly established him as world class talent but with the opening of the new Hotel Torre Madrid, he opens a new personal chapter. 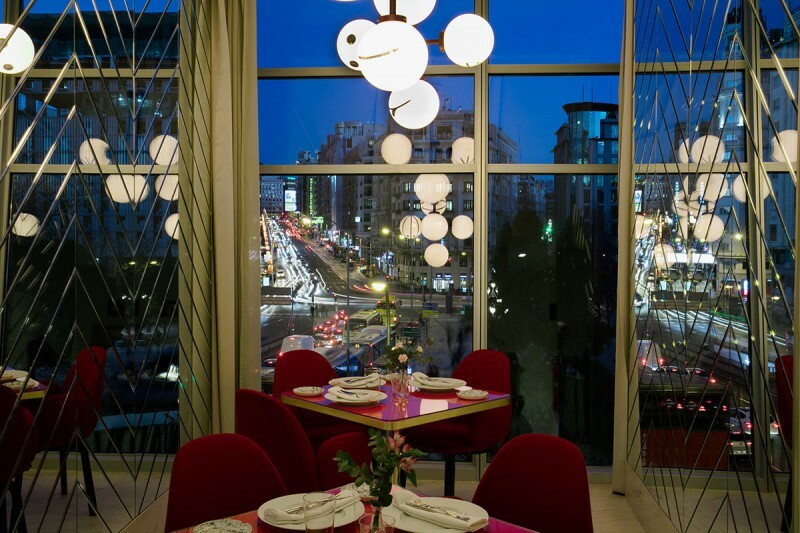 As a native Madrileño the chance to create something unique for the Barceló Hotel group in one of the city’s most iconic buildings was an opportunity to bring his signature talents to his hometown. 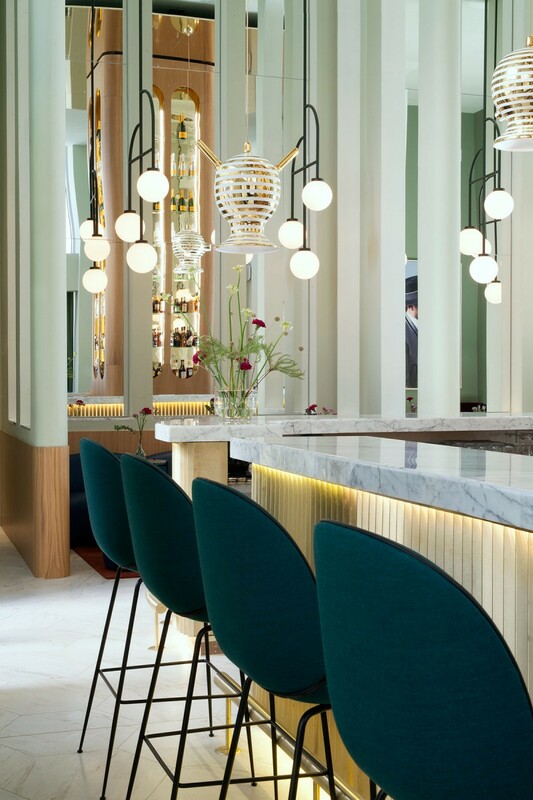 Steeped in Spanish historical and cultural references, Hayon takes us on a visual journey through Spain’s past, mixing architectural details that evoke Roman arches and rich, jewel like tones and finishes reminiscent of the Arabic and Moorish influences that have helped create the beauty of Spain. 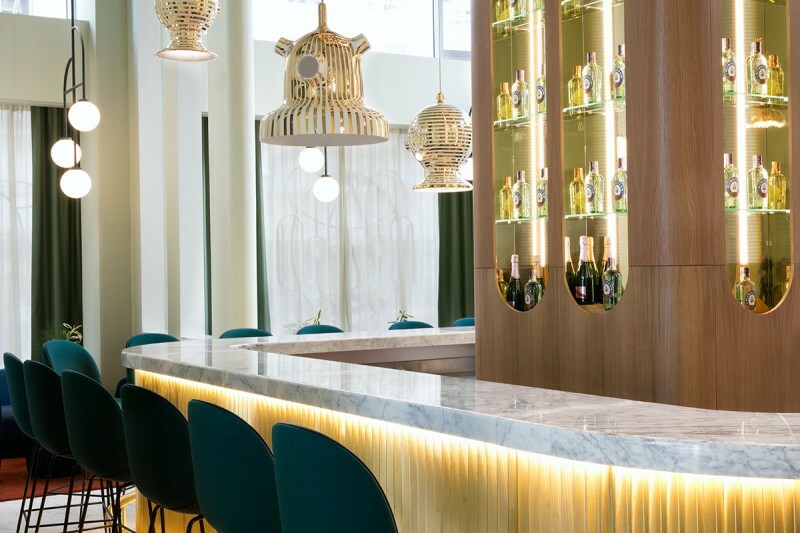 The influences of the past are matched by an elegant design that unifies historic grandeur with a modern approach, amplifying the natural light and filling each space with some of the finest European brands of furniture, perfectly lit and furnished in a palette of colours that reflect the richness and warmth of Spain itself. 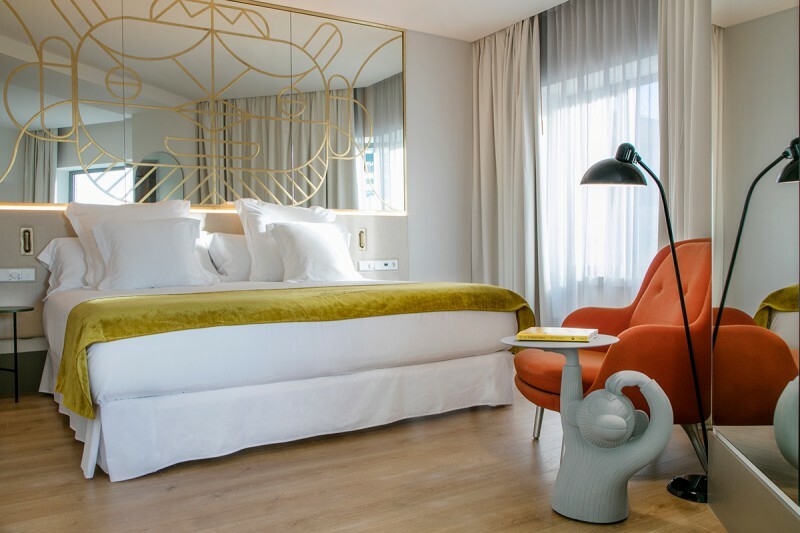 In the Torre Madrid, Hayon has created a magical space that will undoubtedly become a destination not just for visitors but for the people of Madrid. 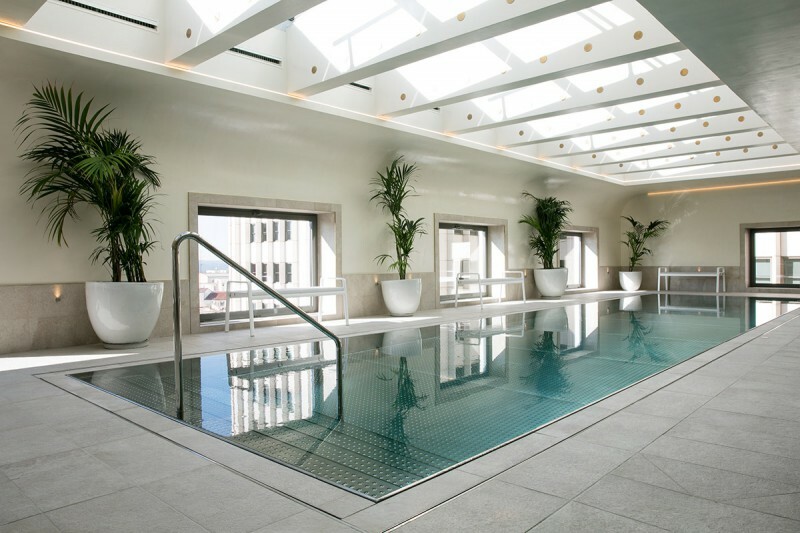 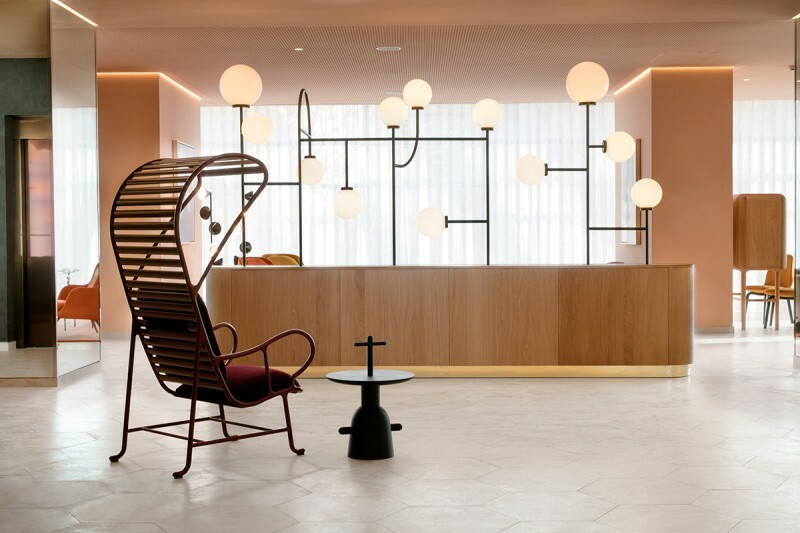 This is a hotel that sits perfectly in a city that is home to the Prado, a museum level quality of materials and finishes combined with Hayon’s clever and thoughtful design brings a luxurious glamour to this iconic building at the very heart of the city. 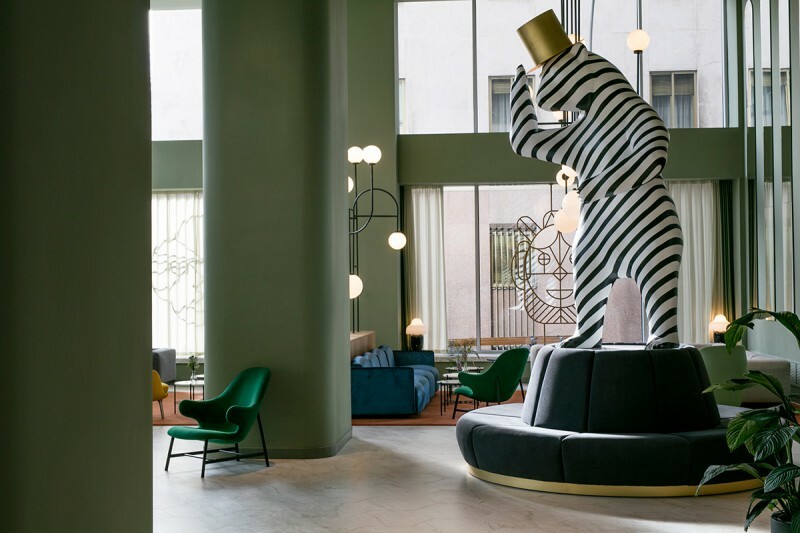 Entering the lobby, you are greeted by an enormous sculpture of a bear, zebra striped in pattern and tipping his large brass top hat in welcome, a wonderfully surreal nod to the coat of arms of the city of Madrid but also uniquely Hayon in its joyful, energy and sophisticated execution. 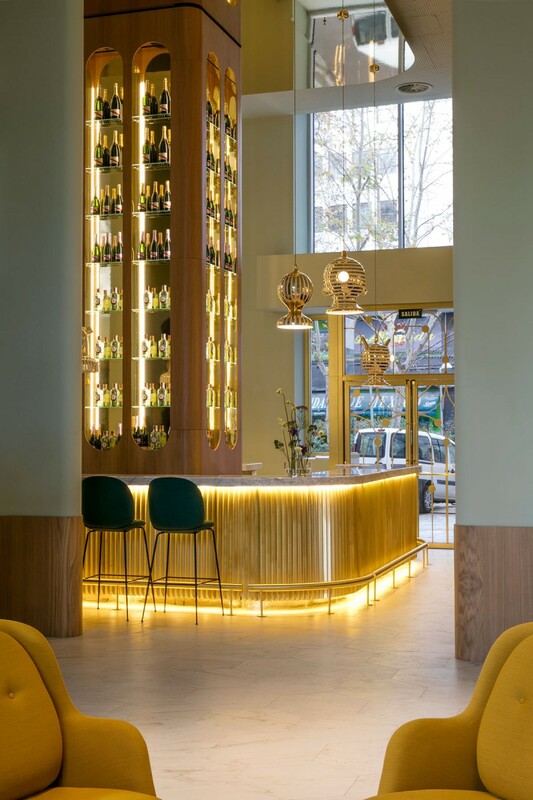 This playful but imposing entrance sets the tone throughout, luxurious golden glazed ceramics, hang above the stunning Garra bar which features possibly the tallest drinks cabinet in the city, a cosmopolitan space of Romanesque arches, looking out to the city through windows that feature emblems of Spanish culture rendered as brass drawings. 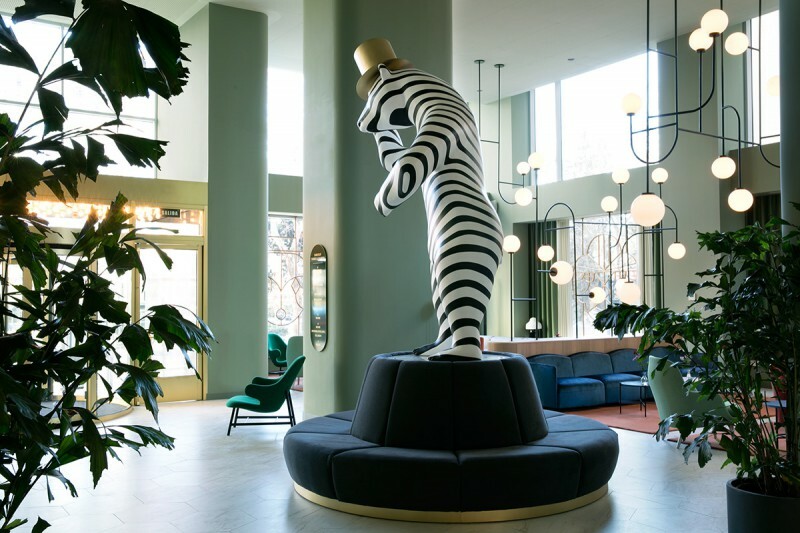 Throughout the hotel, small sculptures, masks, multiple characters from the vivid imagination of Hayon populate the public spaces and hallways. 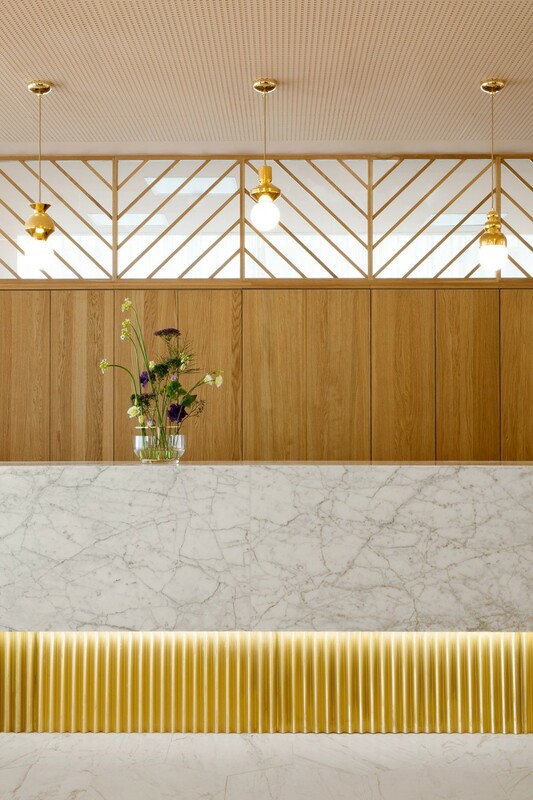 Each unique detail, lends the ambience of a boutique hotel but carried out on a scale across nine floors that only a truly grand hotel can provide. 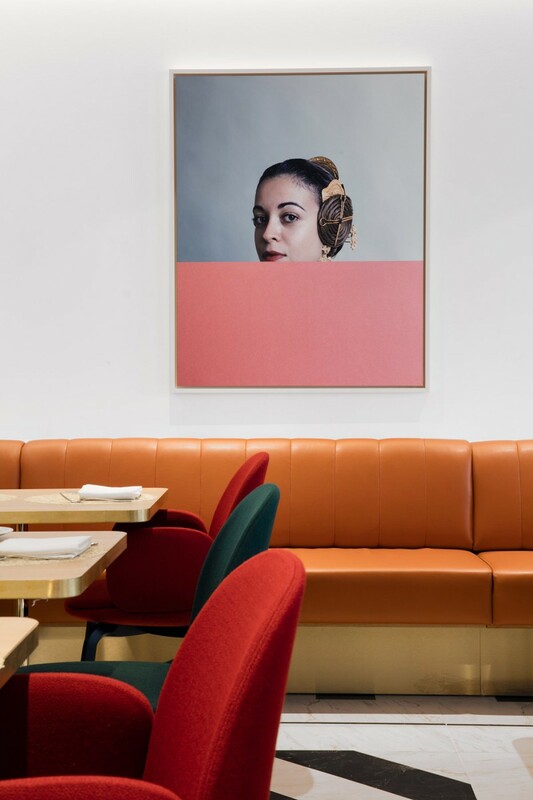 The framed artwork on display was commissioned from the photographers Klunderbie who taking their cue from Hayon’s desire to showcase the richness and diversity of Spanish culture have created a series that combines deeply Spanish subjects; the bullfighter, the flamenco dress, palm trees, a variety of cultural icons and emblems with their unique painterly approach to make work that feels both exuberant and classically restrained, stark in beauty and rich in detail , the perfect complement to Hayon’s design. 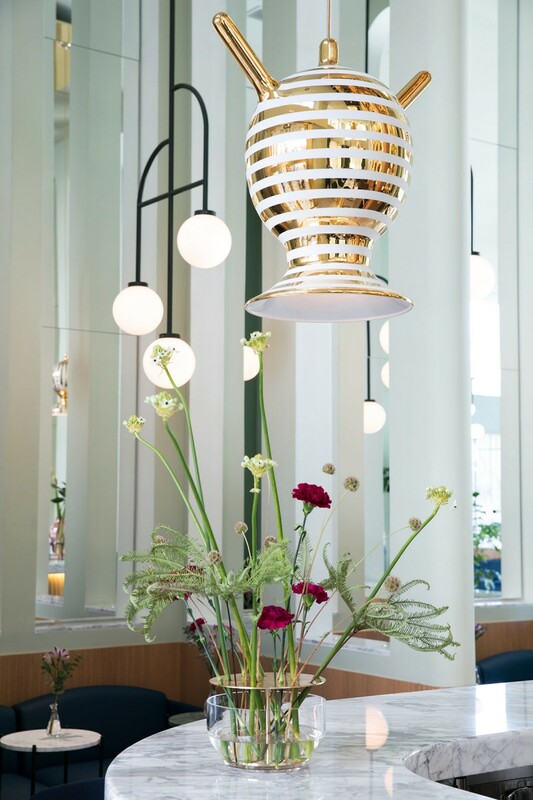 The furnishings and light fixture are the result of the many fruitful collaborations that Jaime has worked on in the last decade with some of Europe’s finest furniture brands and design houses. 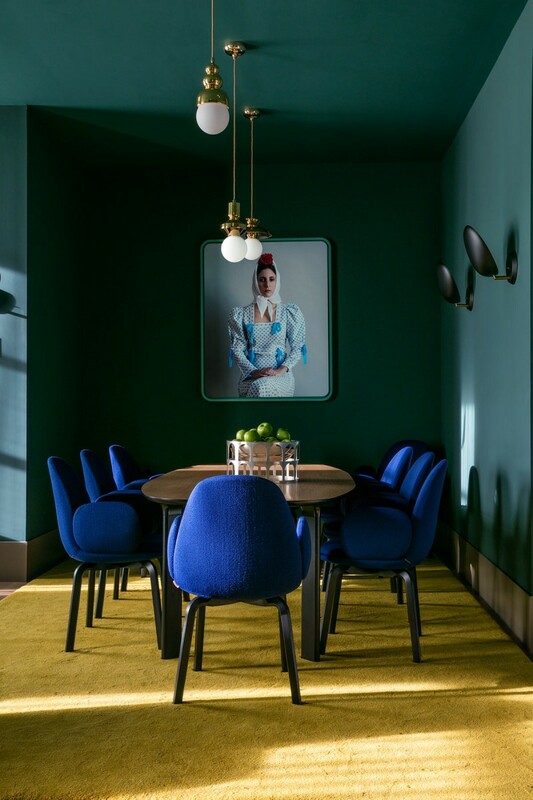 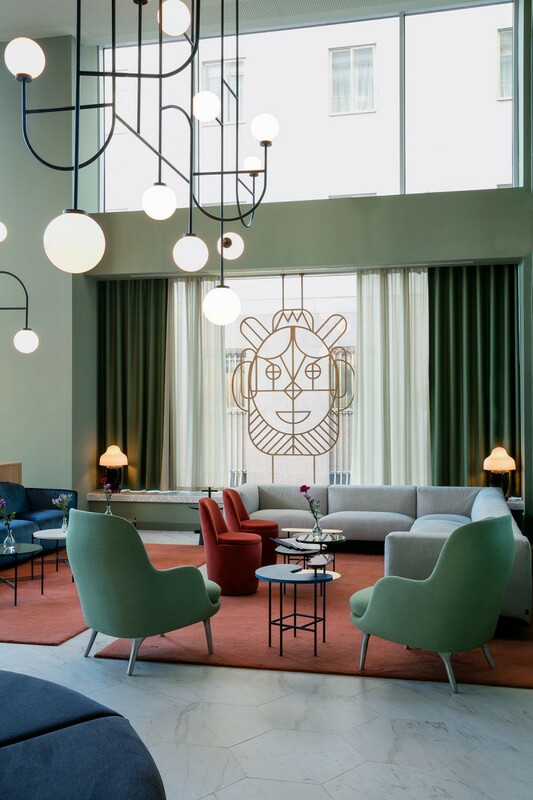 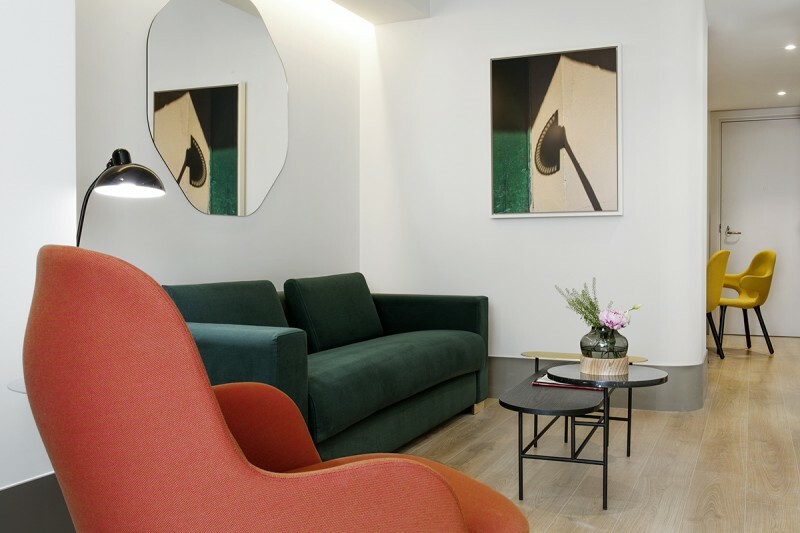 The rooms are furnished with pieces by Fritz Hansen, &Tradition, Gubi, Arflex, Cassina, BD Barcelona, Parachilna lamps and more, each piece part of a unified design language that involved many expert craftsmen to bring to fruition this dazzling interior. 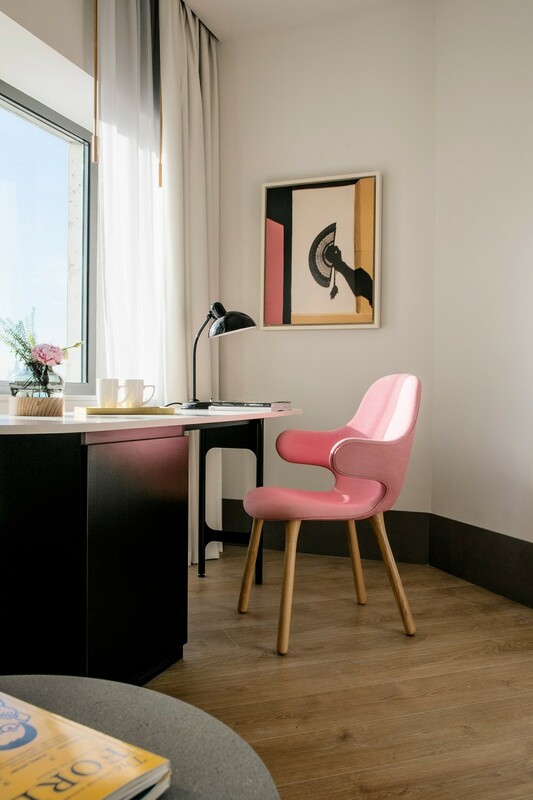 Every corner of the hotel has been thoughtfully designed to create vignettes that balance a sophisticated aesthetic with comfort and luxury. 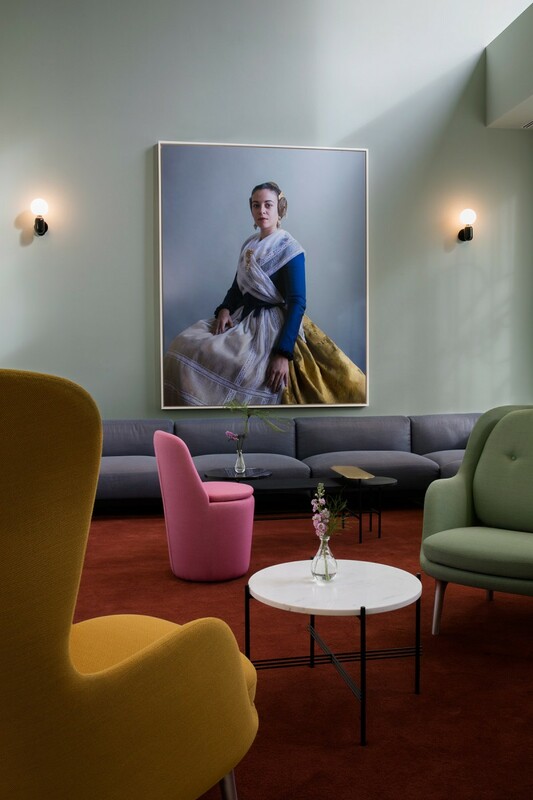 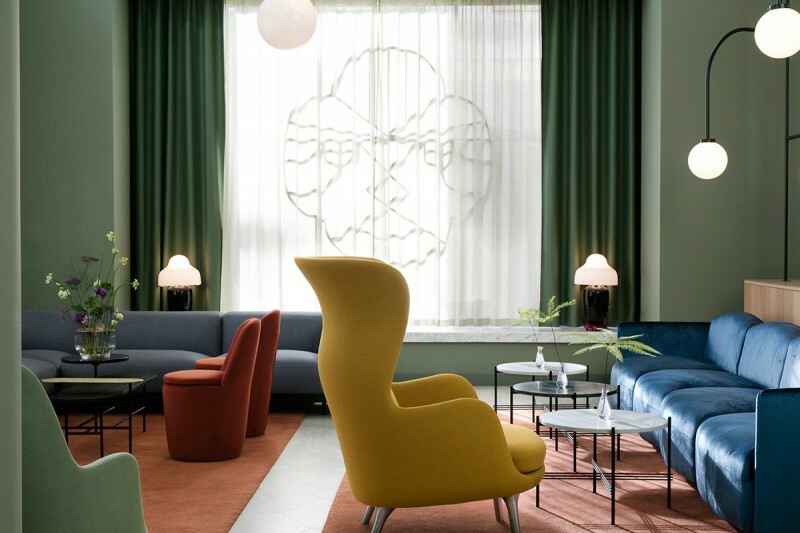 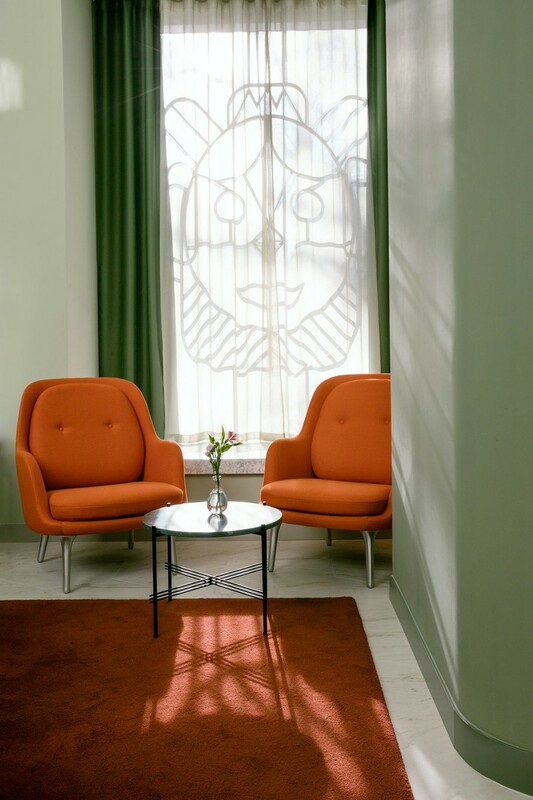 The curves of the sofa and chairs, the subtly elegant lighting, the sumptuousness of the colours, the wit and humour of the decorative details, across the hotel Hayon’s trademark ingenuity is on display at its most effective and appealing heights. 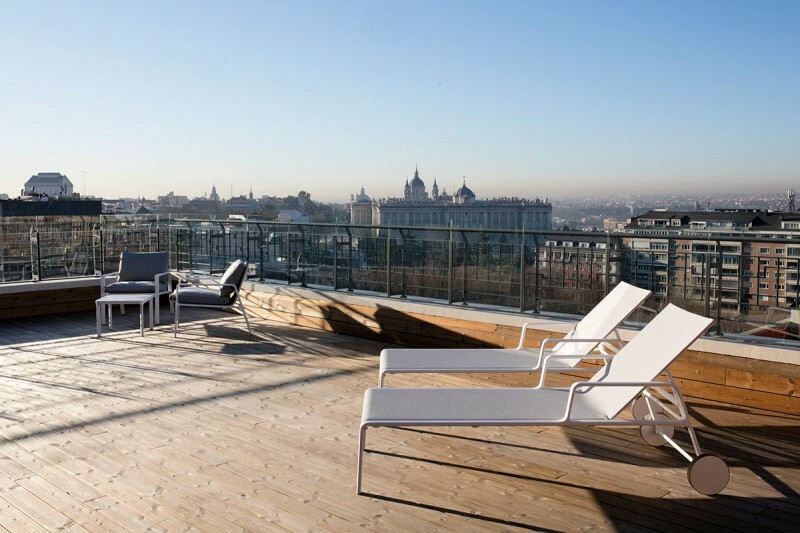 Since its construction in 1957, the Tower of Madrid has been a symbol of modern Madrid with 142 meters of height and its 34 floors. 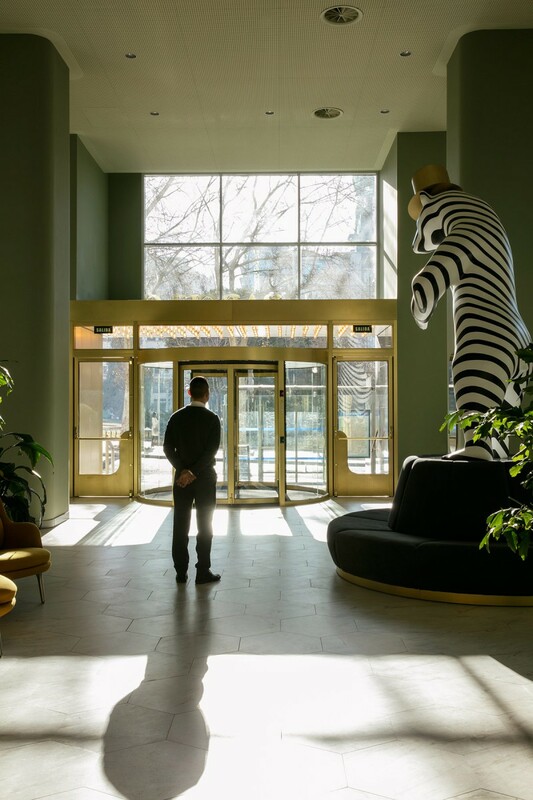 And now, with the opening of the Torre Madrid hotel across nine of those floors it boasts an interior that fully reflects its grandeur and location. 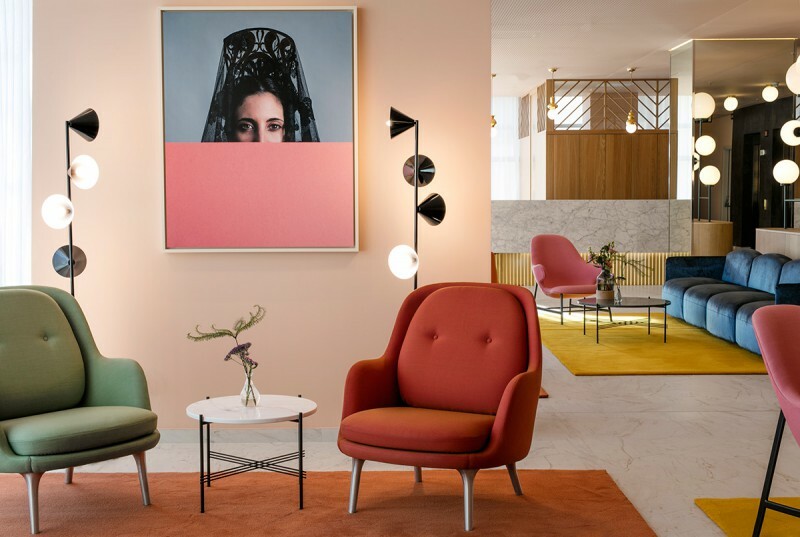 With the completion of this ambitious design Hayon has given his hometown the ultimate compliment, a beautiful, unique space that pays homage to the wonder that is Madrid, creating a hotel to match the glamour of any of the grand cities of Europe.